Ornamental pools, long common in the Orient, are becoming very popular in the United States. 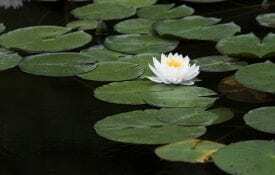 The soothing, visual beauty of pools is enhanced by aquatic plants, the ever-changing view of fish swimming among these plants, and the play of light and shadows reflected in the water. Pools can be found in private backyards, public parks, hotel lobbies, mall courtyards, restaurants, apartment balconies, and even basements in colder climates. In Japan, where ornamental pools have been popular for centuries, pool and garden designs are highly artistic. Some Japanese extend the pool into their living rooms where fish watching becomes a restful evening activity. Little replicated research has been conducted on ornamental pools, therefore most of the information discussed herein is from related research areas and practical observation. This article is intended to assist in understanding the requirements of fish within these miniature aquatic environments and in evaluating options in pool design. Location of the pool can be critical, not only to its owner’s enjoyment but to the maintenance and biological performance of the pool. Site your ornamental pool to receive a minimum of 6 hours of sunlight each day. Sunlight is needed for photosynthesis by pool plants including algae, which provide oxygen to the pool. Abundant oxygen means a healthy environment for fish and other organisms in the pool. Locate your pool to avoid direct sunlight at mid-day during the warmest months. Fish can become stressed by high temperatures unless shade is provided by aquatic plants. For indoor pools, lights are available that simulate natural daylight. To more easily supervise children playing around the pool. But, be sure to take precautions, such as controlling access, to ensure the safety of children. To help you spot and ward-off predators, such as birds, raccoons, snakes, or that rare human thief. To reduce expense of pipes, electrical hook-ups, and pumping, which are usually lower for pools built close to the house. If you plan to excavate rather than build an aboveground pool, check with utility companies on the location of underground gas, water, sewer, and electrical lines. Do not locate a pool above utility services. Pools should not be located directly under trees, as their roots hamper excavation and may eventually cause structural damage to the pool. Also, leaves can foul the water and over-hanging branches may exude toxic substances into the pool. Pool depths may vary depending on local climate and over-wintering management. Many pools are only 18 to 24 inches deep. Most of these shallow pools will require heaters in winter or the plants and fish will need to be moved indoors. Most permanent outdoor pools should have a portion at least 3 or 4 feet deep. This allows the fish an area deep enough to resist most winter freezes and a cool retreat during hot weather. Koi carp, in particular, tend to lose color and become stressed if they do not have a cool place to retreat to during hot weather. 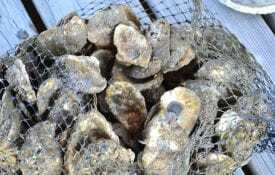 However, a depth of 18 inches is sufficient in the deep South, as long as only a few fish are stocked and plenty of floating aquatic plants are provided for shade. 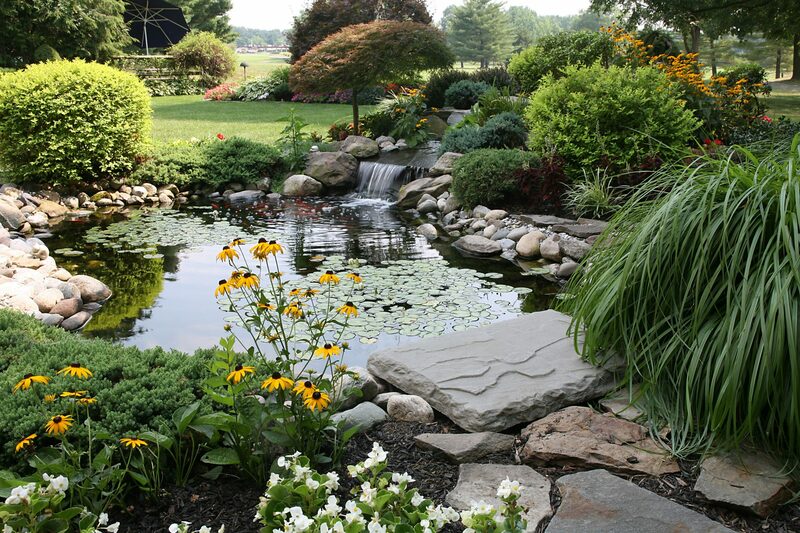 Ponds are built out of several types of materials. Some of the more common construction materials are earth, plastic liners, fiberglass, and concrete (Table 1). Many commercial firms selling pool equipment offer consulting services on design, construction, and maintenance. Use available expertise and your own creativity to design a pool that reflects your own imagination and taste. Earthen Inexpensive, especially for larger pools. 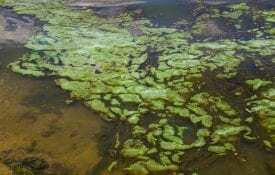 Seepage; wild plants may establish. Soil must be high clay. Flexible liners Ease of construction. Possible punctures; must be pumped or siphoned to drain. Type of liner will determine lifetime, usually 10 to 20 years. Fiberglass or plastic Durables -- long life; good for plant-only pools. Shallow, not year-round habitat for fish. Can crack if water freezes. Very small pools; could be moved inside during the winter. Concrete Very long life; can add decorative tiles. Expensive, must be cured. May need coating with Epoxy or pool paint to stop leaching of minerals.